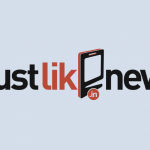 JustLikeNew.in’s nomenclature speaks volumes of its business model – an e-commerce platform, it aims to revolutionize the electronics after-sales service and refurbished goods industry in India. XLRI Jamshedpur alumni Ajit Panigrahi and Rahul Agarwal began the portal in 2014 when Panigrahi ran from pillar to post to get his mobile screen repaired. “We launched operations ten months ago and have received tremendous response from our early adopters. For the first time ever in this category, we have productized over 5000+ repair services and are operational in Bangalore and Hyderabad,” says Panigrahi. What JustLikeNew.in did was package a service as a product, by pre-defining all the service delivery elements like the price, timeline, features, service terms etc in the portal. This brought in service standards and transparency to the highly unorganized service, repair and refurbish industries in the country. Panigrahi adds, “What we’re doing is basically reducing the variability involved with availing a service. So a customer buys the service as if s/he is actually buying a product.” They process hundreds of orders a month currently, having tie-ups with official suppliers of gadgets and parts. And customers are thrilled. “Free pick up and drop, one day service, standby phone and all this for a nominal price,” says Milan Singhal, a customer from Bangalore.